It is not a race against other runners but a 5k timed run and it can really be whatever you want it to be whether that's for fun or as part of a training plan. It offers an opportunity for all the local community male or female young or old to come together on a regular basis to enjoy this beautiful park and get physically active into the bargain. We want to encourage people to jog or run together irrespective of their ability - this event is truly open to all and best of all it really is FREE! Taking part is easy - just register in advance by 6pm on the Friday before your first ever parkrun here. The great thing is that you only ever need to do this once! Then just set your alarm for Saturday morning and get yourself there! 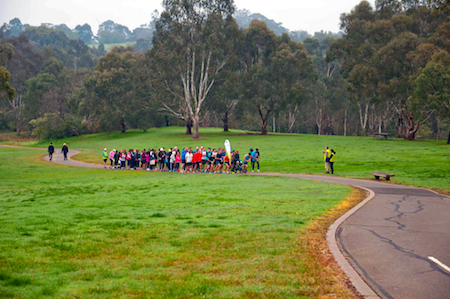 It's run in Westerfolds Park, Fitzsimons Lane, Templestowe, 3106. Every week we grab a post parkrun coffee in the Manor House Cafe - please come and join us!